Hot temperatures aren't fun for anyone, especially when you're in the car. 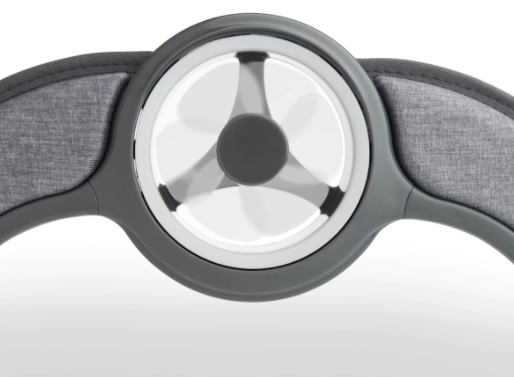 We know as a concerned parent you always want to ensure baby isn't overheating, which is why Munchkin designed a new mirror with a remote-controlled fan. 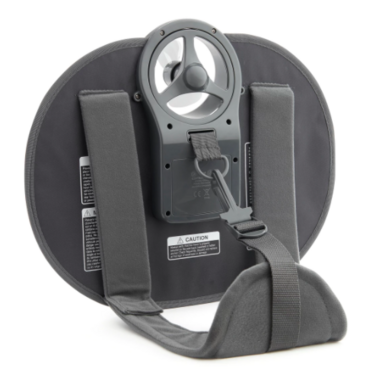 Breeze™ features two fan speeds and is adjustable, so you can tilt it toward baby for the perfect angle. Plus, the fan feature has an auto shut-off after approximately 10 minutes. 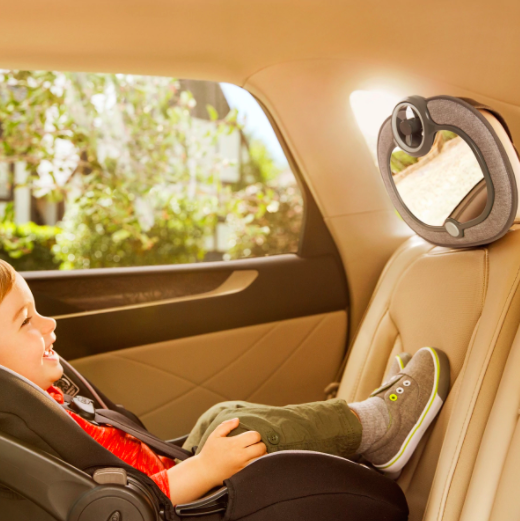 The Clear-Sight™ mirror offers superior reflection and a distortion-free image making it easy to always see your little in the back. The Breeze™ will really blow you away! This mirror is amazing! 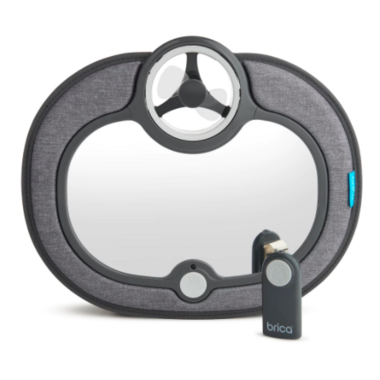 It's sleek and super helpful on the hotter days when it takes the car a while to cool down. Plus the kids get a laugh out of it!